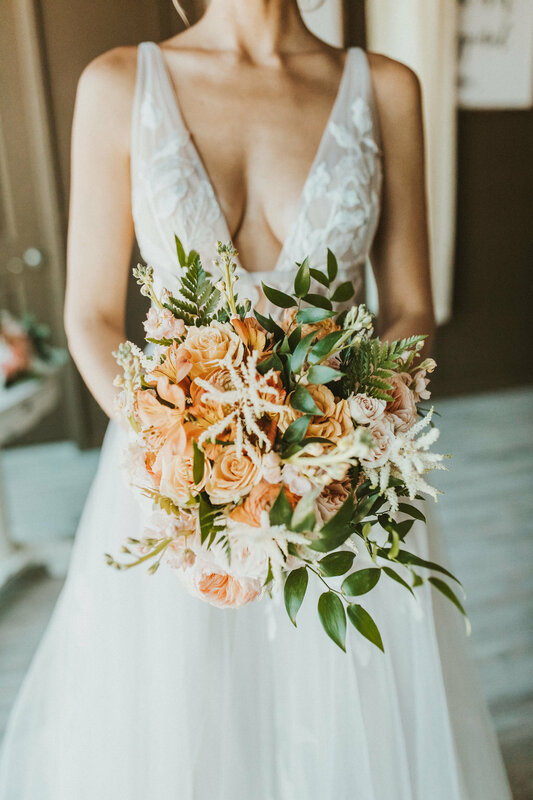 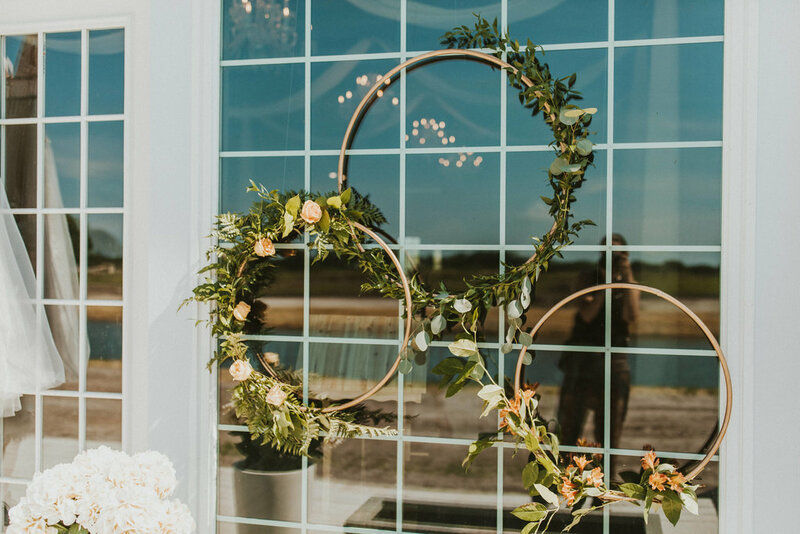 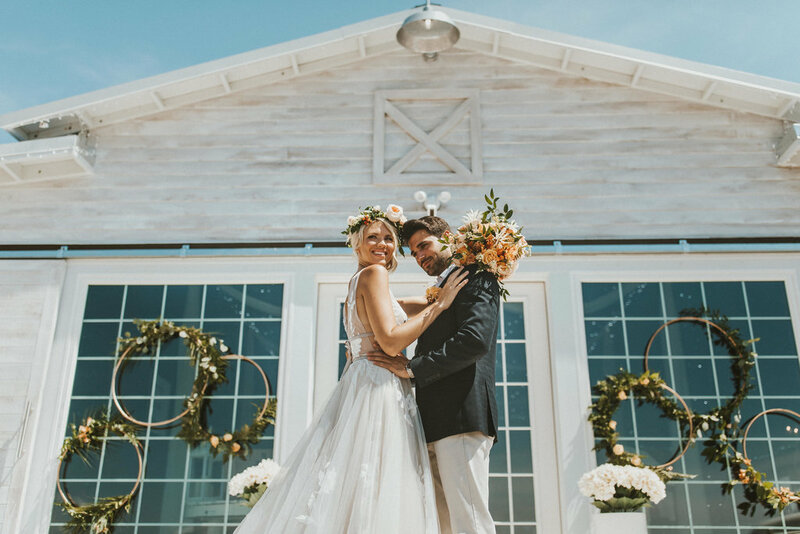 This styled shoot at Ever After Farms turned out just peachy - literally! 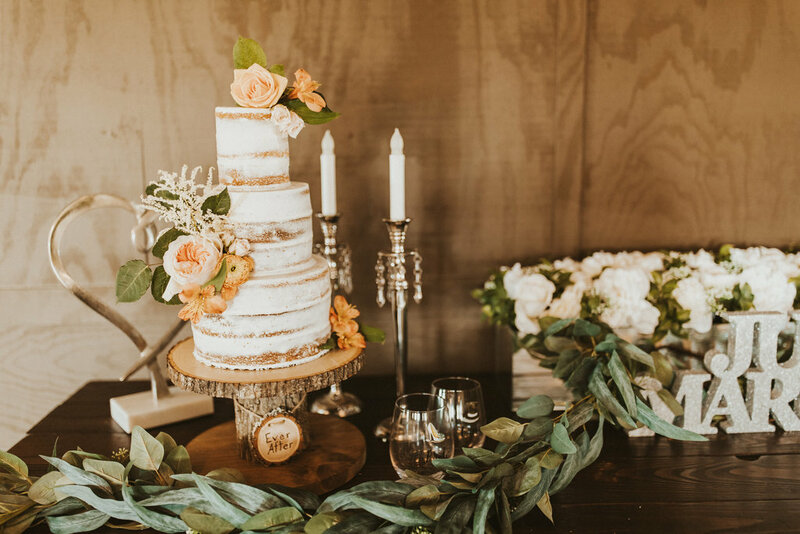 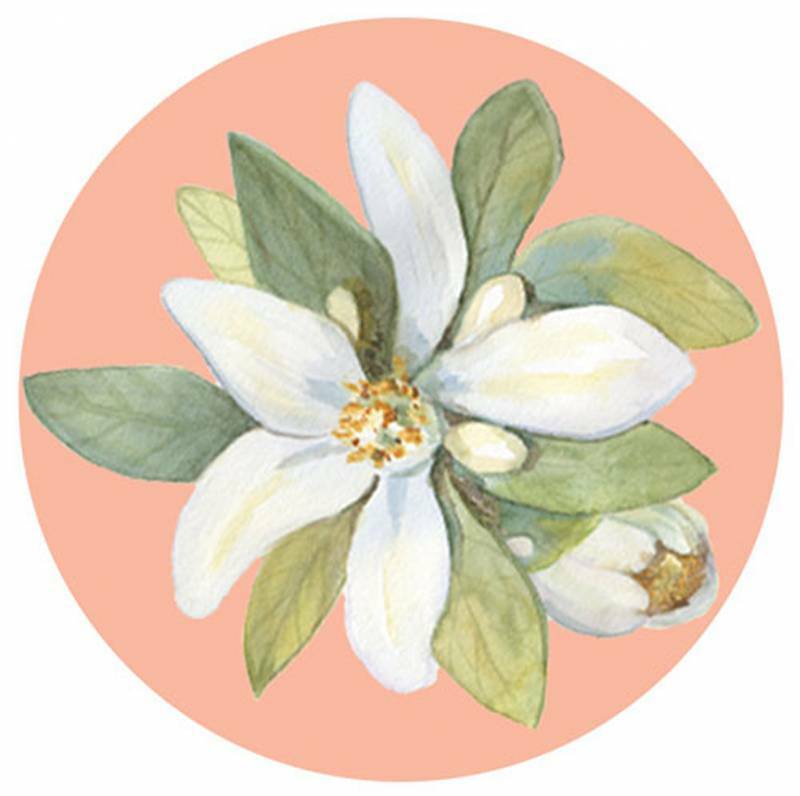 Loads of peach florals sat on table tops and welcome signs, filled bouquets, and decorated the cake. 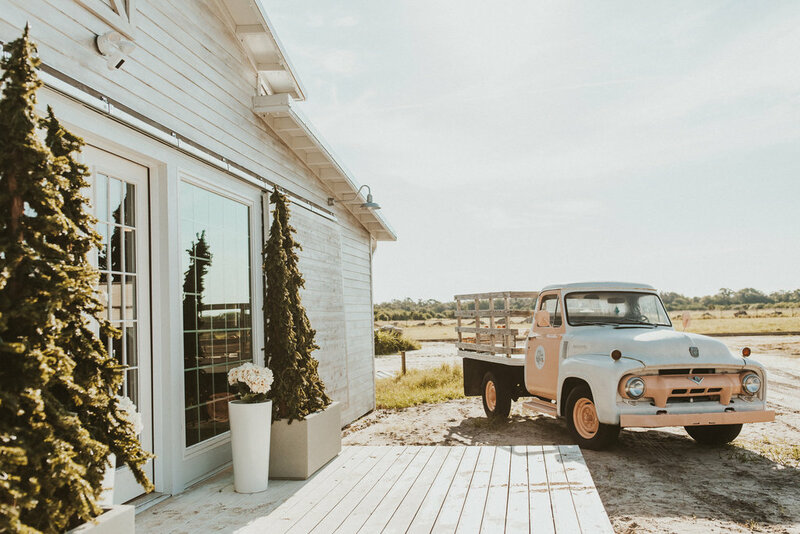 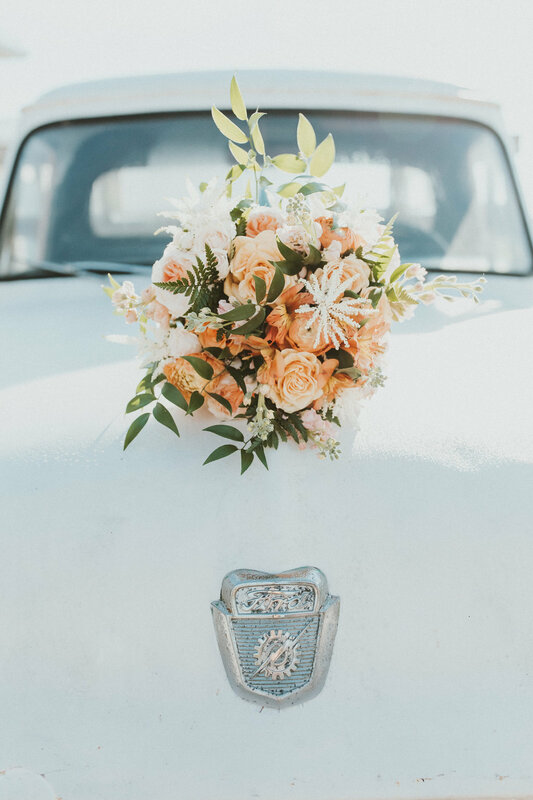 Of course if that's not enough peach for you, a classic pickup truck with a bed full of peaches served as a fun prop for photos of the model bride and groom! 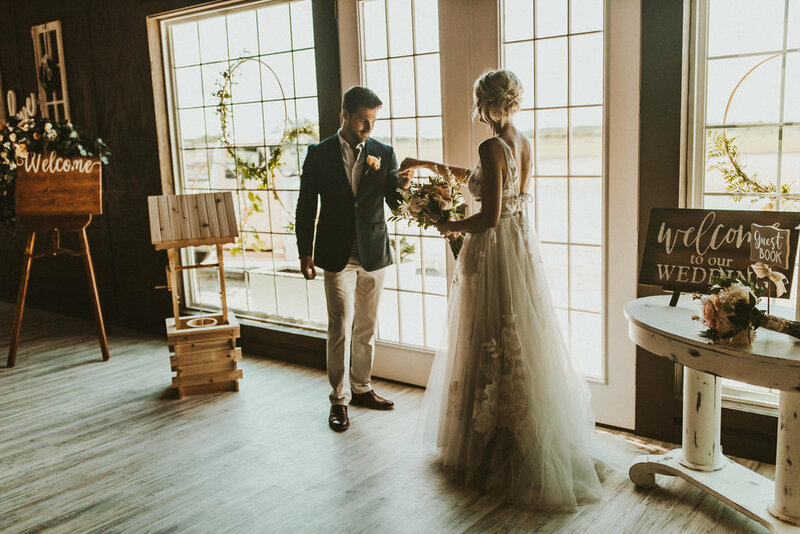 Speaking of the bride, she looked beautiful in a low-cut lace gown, while the groom wore a stylish plaid suit jacket. 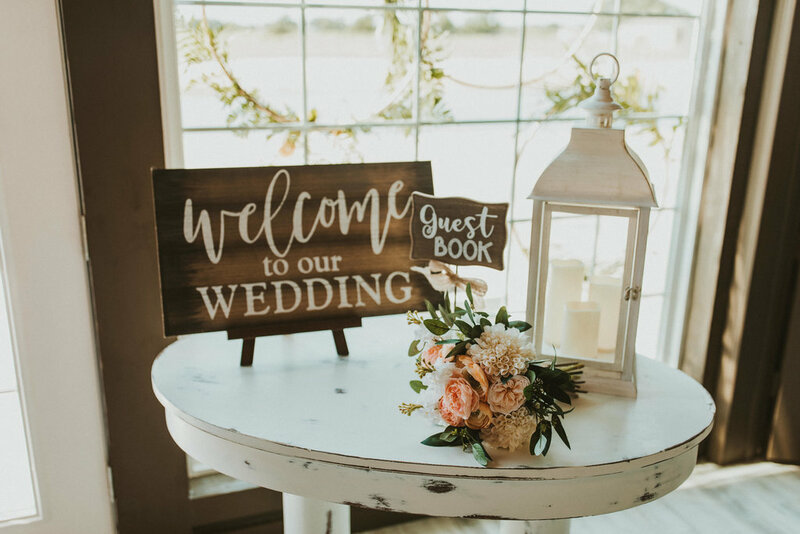 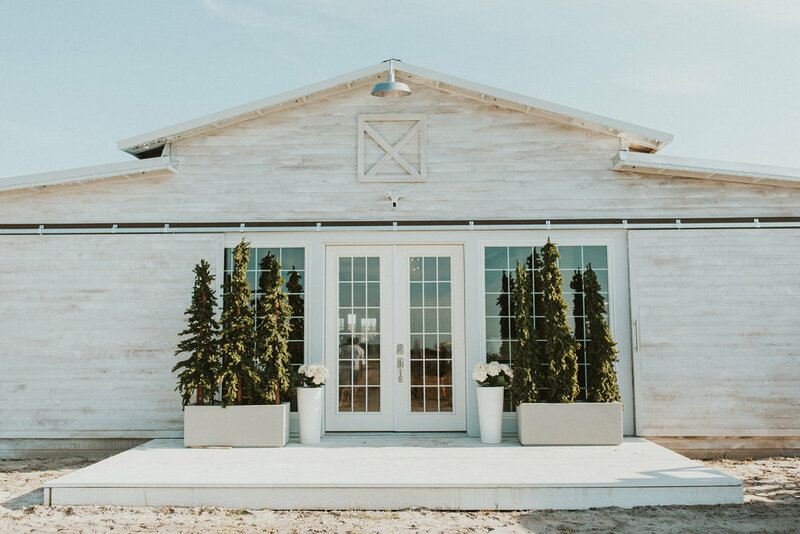 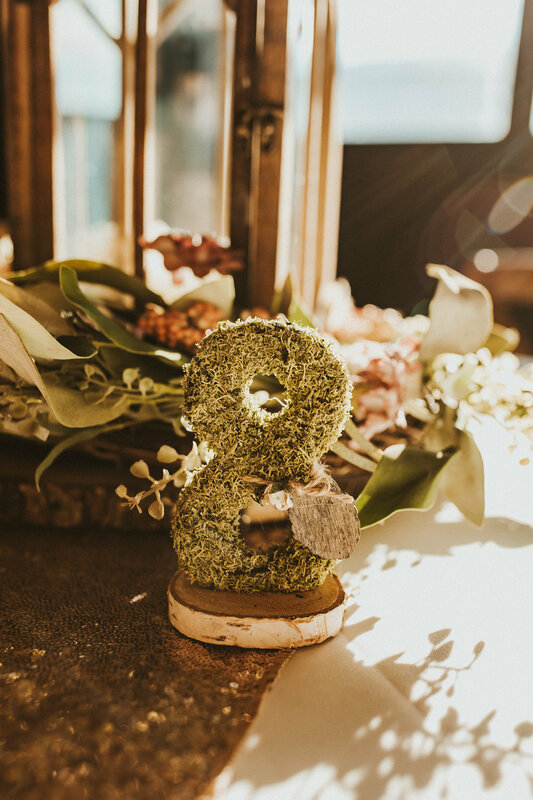 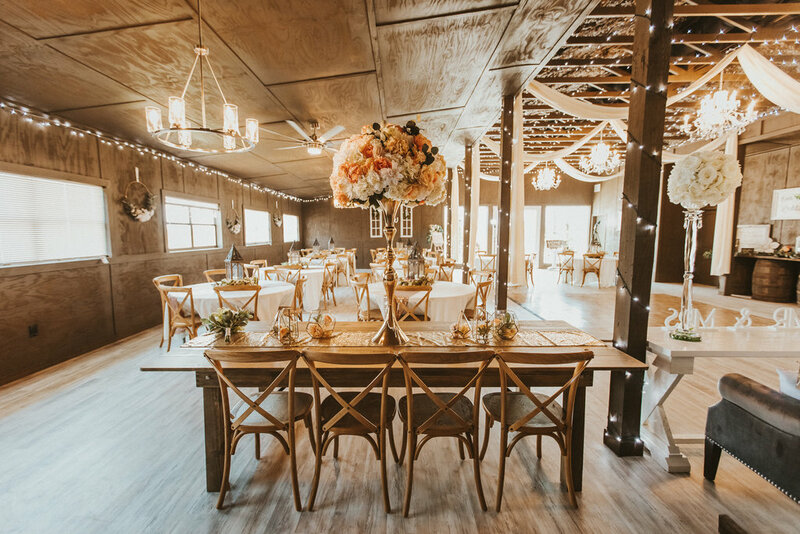 Inside the expansive barn, banquet tables were set with wooden chairs, lanterns, and mossy table numbers. 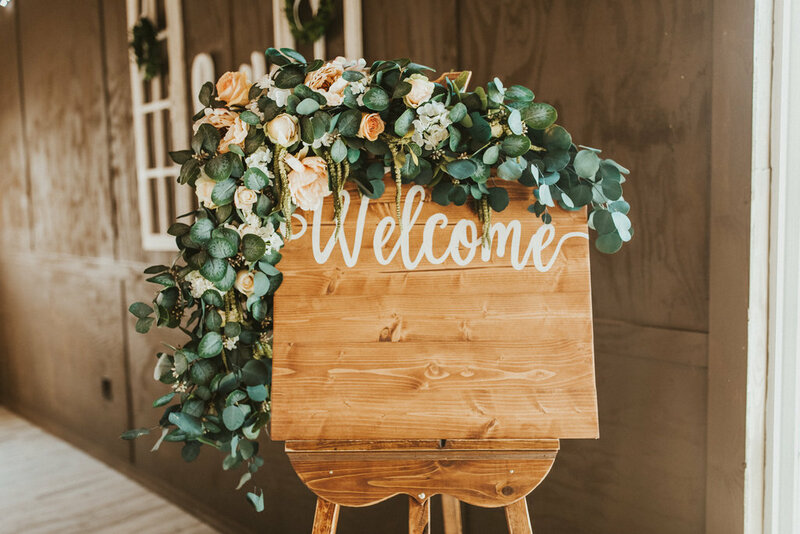 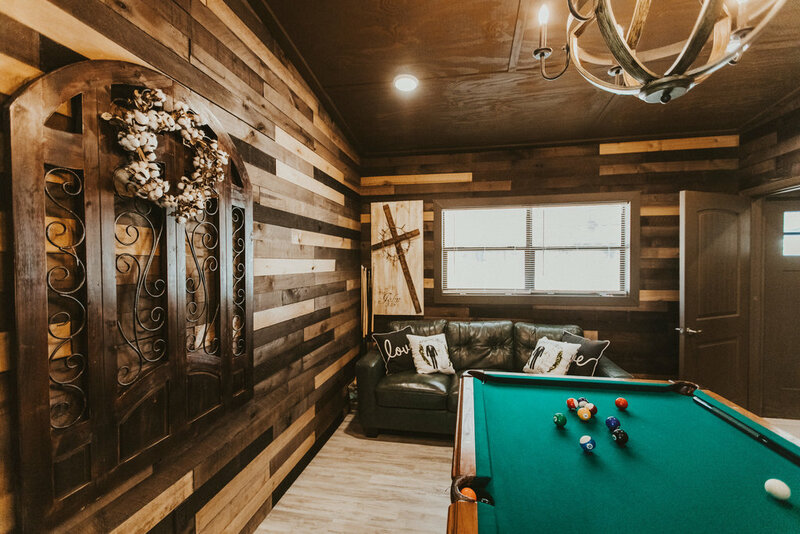 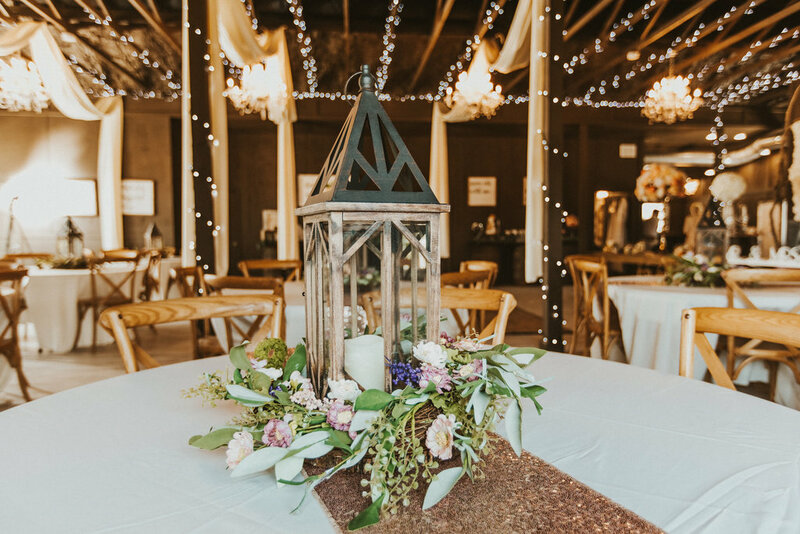 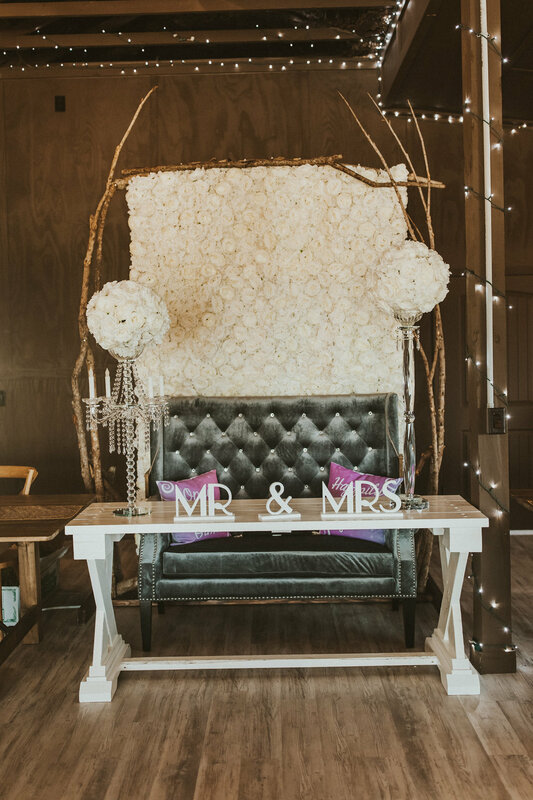 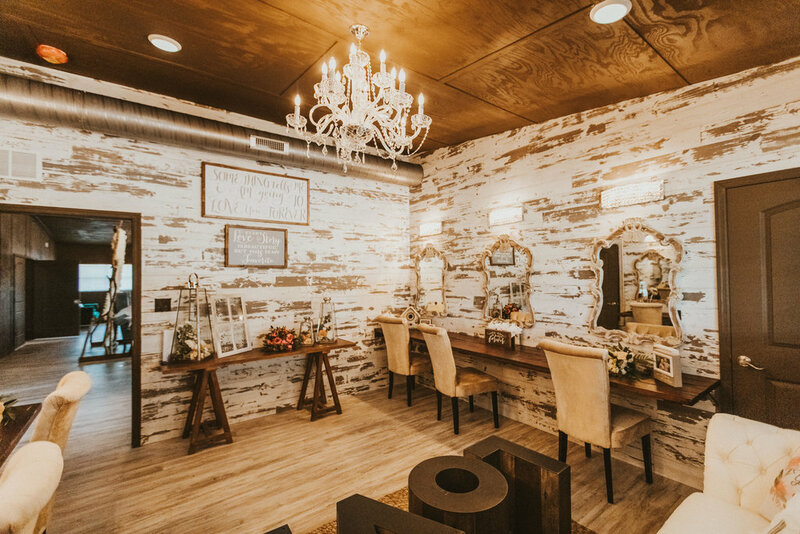 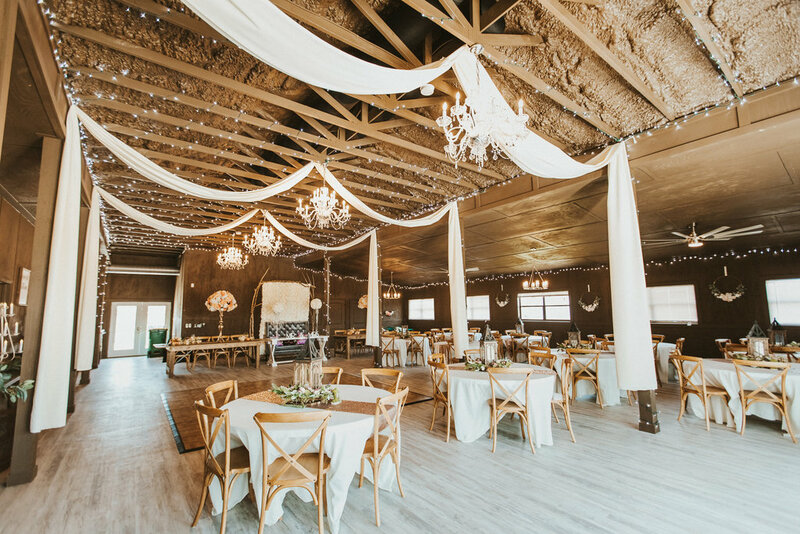 Sequin table runners and chandeliers added sparkle to the rustic vibe, and string lights wound around every pillar and through the ceiling rafters. 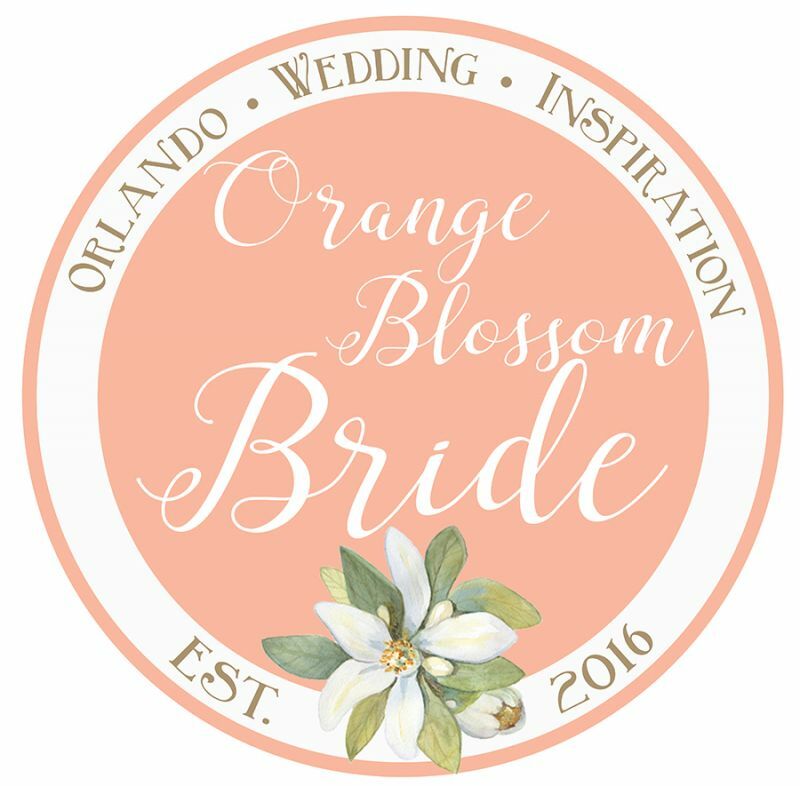 Scroll down for more great ideas for your happily ever after!